Rachel Connelly started teaching at Bowdoin in 1985, after completing her Ph.D. in Economics for the University of Michigan in Ann Arbor. She regularly teaches courses in "Labor Economics and Human Resources," "The Economics of the Family" and "Economics of Education" along with "Principles of Microeconomics" and "Intermediate Microeconomics" and "Economic Statistics". At Bowdoin, Dr. Connelly has served as the Director of the Gender and Women's Studies Program, and is currently the Chair of the Economics Department. She is a research fellow at the IZA, the Institute for the Study of Labor, in Bonn, Germany and at the Chinese Center for Human Capital and Labor Market Research, Beijing, China. Dr. Connelly's area of research is at the intersection of demographics and labor markets. She has published articles on the effect of broad demographic trends on the labor market decisions and on the economics of child care. Her research on child care considers both sides of the market -- the demand for child care on the part of families with young children, the labor supply of child care workers, employers use of child care as an employment benefit, and parental child caregiving time. Her most current research joint with Jean Kimmel looks at the caregiving time of parents using the American Time Use Survey (ATUS). Recent articles on time use by Connelly and Kimmel have been published in the Journal of Human Resources, Review of Economics of the Household and Feminist Economics. In addition, Connelly and Kimmel have written a monograph, Time Use of Mothers in the United States at the Turn of the 21st Century, published by W. E. Upjohn Press. 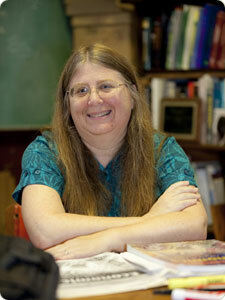 Moving beyond the US, Dr. Connelly has a strong research interest in work and family life in modern China. Joint with Margaret Maurer-Fazio, Connelly has published a group of articles about trade-offs between employment and family caregiving in both urban and rural China. A recent example is "How Do Caregiving Responsibilities Shape the Time Use of Women and Men in Rural China?" 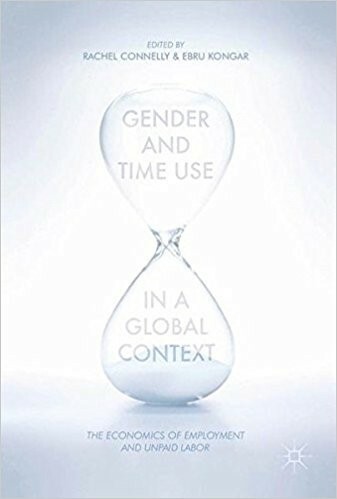 which is included in the edited volume, Gender and Time Use in the Global Context: The Economics of Employment and Unpaid Labor, Rachel Connelly and Ebru Kongar (Eds. ), Palgrave MacMillan, August 2017.